As we come to understand price erosion, the role of content providers, the rise of over-the-top communication services, movement toward hybrid WAN solutions, and a plethora of other market trends, we wanted to think about how these trends will evolve in 2018 and beyond. 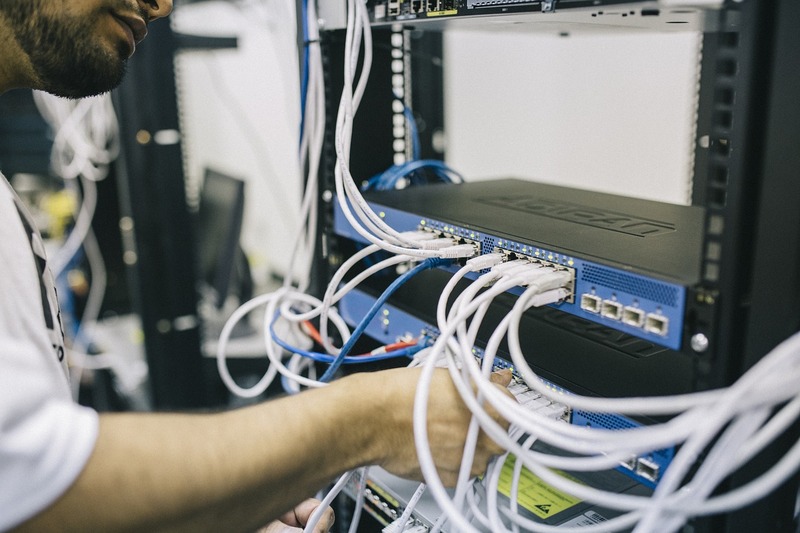 To do this, we turned to our experts and four of our core products: Global Bandwidth Research Service, Global Internet Geography, Colocation Database, and the TeleGeography Report. Below are telecom trends we expect to continue in the coming years, from continuing falls in pricing to the evolution of the WAN. Following several years of relatively sparse submarine cable development, 2016 ushered in a period of significant global investment in the sector. Thirteen new systems worth a cumulative $2.4 billion were deployed in 2016. A notable feature of the recent upswing in cable construction is the breadth and depth of its geographic scope. Nearly every global route grouping saw new subsea cables between 2015 and 2016. Nearly every global route grouping saw new subsea cables between 2015 and 2016. In the next two years investment is poised to continue on most routes with the launch of systems such as Monet (Latin America), New Cross Pacific (trans-Pacific), and others. Latin America leads the way with $1.5 billion of new cable investment in 2017 and 2018. The rapid expansion of major content providers’ networks has caused a major shift in the global wholesale market. As Google, Microsoft, and Facebook invest in new inter-continental submarine cable systems and purchase increments of fiber pairs, they are shifting demand from buying lit wavelengths to network ownership. With their demand strongly outpacing that of other bandwidth users, the share of international bandwidth market that is addressable by wholesale providers is declining. 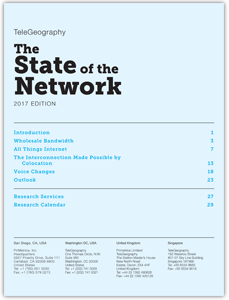 More companies may join the ranks of the largest content network owners, further decreasing the addressable wholesale proportion of the bandwidth market. But even the largest operators buy additional wholesale capacity to complement their primary investments in their own cable systems, and other operators move up through the ranks of network scale. At the same time, the largess of content networks fuel new generations of submarine cables that lower the overall cost per bit across many routes, ultimately helping wholesale operators accommodate plunging bandwidth prices. The increased reliance on direct connections to content providers and the use of caching will continue to have a localizing effect on traffic patterns and dampen international internet traffic growth. As demand for content and applications grows in new locations, CDN nodes and caches will be deployed into these areas. While the increase in broadband users and access rates will continue to drive traffic growth in access networks, much of this growth may be managed locally within a network and may not lead to proportional increases in traffic on international links. Get our free guide to everything you need to know about the global telecom network and the forces shaping its future.